Abraham Maslow’s hierarchy of needs has inspired specialists in various fields to apply the idea to their area of expertise. Web development is no exception. In this blog post, we are going to give a look to the best of what we found. The first to apply the theory to APIs was Mehdi Medjaoui. 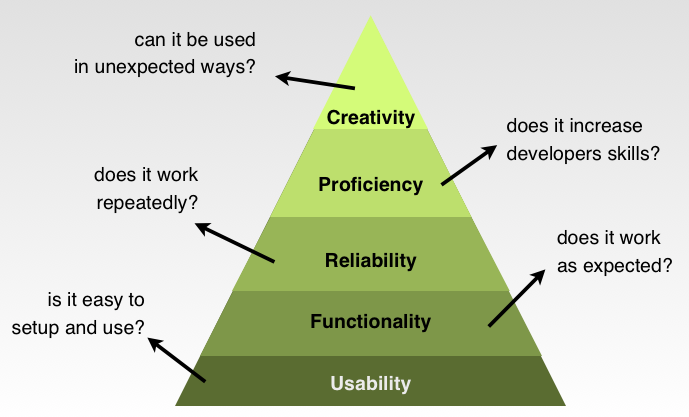 He built his Developers’ API pyramid of needs on top of what developers expect from an API supplier. Mehdi explained that one would automatically get downgraded to the level L-1 if they happen not to respect a condition from a lower level L. He also did a great job analyzing each suggested layer and providing the right questions to help API providers get a deeper understanding of what is expected by API consumers. 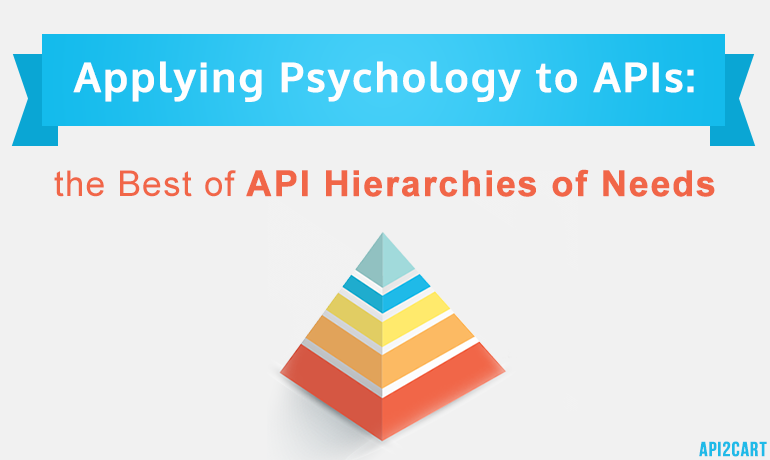 Two years ago, Bruno Pedro created API hierarchy of needs that was meant to “explain different characteristics that make an API usable”. He divided the pyramid into five blocks, each representing usability, functionality, reliability, proficiency, and creativity from the bottom upwards respectively. According to the author, these characteristics are what an API provider should consider when launching and maintaining an API. He also gives notes on each of them. About a year and a half ago, Reza Shafii, a Director of Product Management at MuleSoft, introduced his API hierarchy of needs in Minding the API Hierarchy of Needs with RAML and APIkit. In the article, he mentioned the common mistake of many businesses wanting to release an API -- jumping to the API Management part as a primary concern before prior investment in design and implementation. 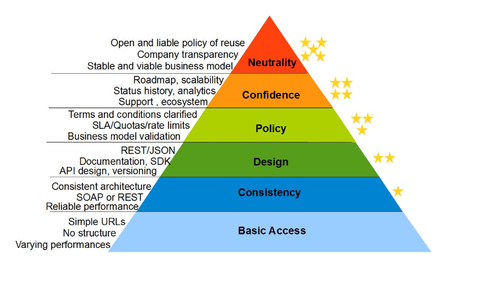 The layers of the pyramid are arranged in such a way that the need for the three foundational levels becomes clear -- API design comes first, otherwise it simply won’t work as desired. To help API providers with the “two most fundamental enterprise API needs of API design and API implementation”, Reza Shafii suggests using RAML and APIkit. To read about the solutions, click here. 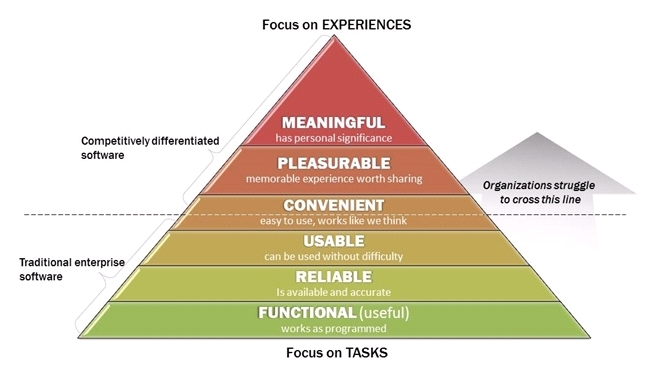 One more pyramid that we cannot but touch on in this review is the CX (Customer Experience) hierarchy found on APM Examiner. It can be used by API suppliers similarly to the first pyramid mentioned above. 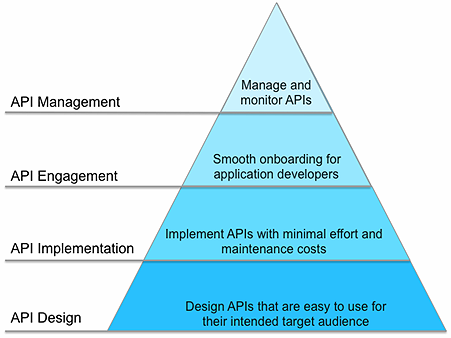 The six layers make up the perfect experience that API consumers would like to have. If you would like to know how your business would benefit from integration with more than 30 e-Commerce platforms, do not hesitate to schedule a free consultation with our representative.